Ellen Meeropol conducted this interview with our afternoon keynote speaker at this year’s WriteAngles. Susan will also take part in the panel Not in Polite Company that Ellen is moderating. 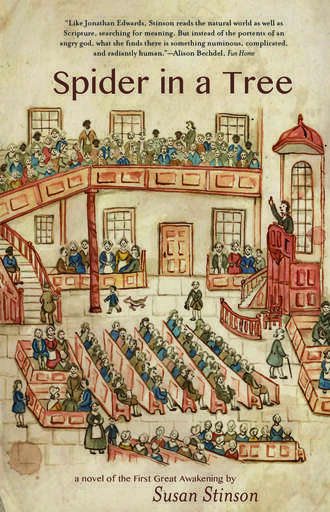 Your latest novel, SPIDER IN A TREE, is about the life of eighteenth-century Calvinist theologian Jonathan Edwards. As a contemporary woman, what was it about this slave-owner and revivalist preacher that so captivated your curiosity and imagination? It really started with the landscape for me. I live just across the road from Bridge Street cemetery in Northampton, and used to walk there a lot and write there, too. I started reading the many beautiful eighteenth-century gravestones and became fascinated with the names and stories of many of the earlier inhabitants of the town. There are two markers there that honor Jonathan Edwards, and many people who eventually became characters in the novel are buried there. One stone marks the grave of Sylva Church, who I later learned had been a slave in the household of Mary Edwards Dwight, one of Jonathan Edwards’s daughters. So, it wasn’t just Jonathan Edwards. The cemetery led me to a fascination with the whole community during the mid-eighteenth century. I didn’t know anything about him when I started, but found myself very engaged by the power of his writing, as well as by the intensity and influence of his Calvinist religious beliefs. Understanding more about that that felt like getting to the roots of some things so important to the world we live in now. It was very important to me to explore not just his inner life, but the inner lives of others around him, and to look at his intimate, lifelong role as a person who enslaved others in the context of other parts of his life and work. Tell me something about the kinds of research needed to get inside the character and the times, and to write this novel. I spent a lot of time reading his sermons, treatises, and letters. I read his daughter Esther’s journal and his wife Sarah’s account of an intense religious experience, or awakening. I read books and articles about him and the period. I read everything I could find about slavery in New England. I went to the Jonathan Edwards Center at Yale, the microfilm room at the New York Public Library, the New York Historical Society, and the Hampshire Room at Forbes to track down unpublished materials, and get insights from others about him. I went to conferences in Budapest and Old Deerfield. I went to church in an eighteenth-century building and to the town where he grew up. I read old cookbooks. I read his will, which listed all of the material items in his household in an inventory. It was an amazing day when I saw that. All his clothes! Everything in the kitchen! Everything. I also rode my trike all over the landscape I shared with him, and took notes on the light, the smells, the plants, the insects, and the seasons. Writing the book took me ten years. Tell us a little about this book’s journey, after those ten years of writing, to publication. The journey to publication was actually part of those ten years of writing. My previous novels had all been published by small presses that were part of a great network of publishers, bookstores, magazines, and newspapers focused on supporting writing by women as part of second wave feminism. This time around, I got an agent who had a background as an editor for prestigious magazines. I spent a year revising in response to his feedback. He sent the manuscript out to editors the Monday the stock market crashed, and next thing I knew he was in Publisher’s Weekly making a big sale on a book about surviving an economic collapse, and nobody was interested in my novel about eighteenth-century Northampton. He eventually withdrew from the project. My book ended up with Small Beer Press, based in Easthampton, where Gavin Grant and Kelly Link publish what they call slightly weird fiction, and which I call amazing. (Seriously, check them out.) Kelly Link, a fantastic writer, is my editor and I couldn’t be happier. Can you share with us what you’re working on now? I’m working on a historical novel inspired by the life of Elizabeth Tuttle, who was Jonathan Edwards’s wild grandmother. At this moment, I’m also doing some final edits on a short essay called “Slow,” about some of my feelings and experiences with working to be present, attentive, and tender to my fat, aging, newly disabled body as I’ve developed arthritis in my knees. Any final words for the WriteAngles community? Just that I’m excited about talking to a roomful of other writers about doing our work! Valerie Martin, this year’s afternoon keynoter, has won a coveted Guggenheim Fellowship to complete her latest, 14th, novel THE GHOST OF THE MARY CELESTE, about a ship mysteriously abandoned in 1872. 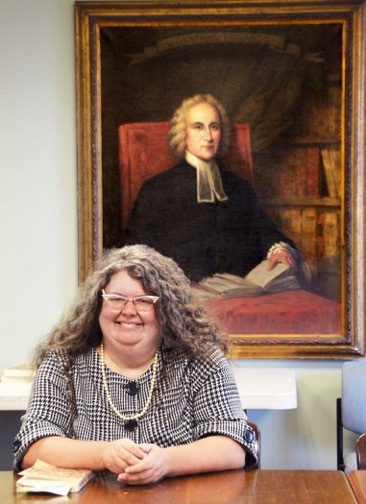 For more details on the award and her career, see the stories on the Mount Holyoke website (she is a visiting professor at the college) and in the Gazette. 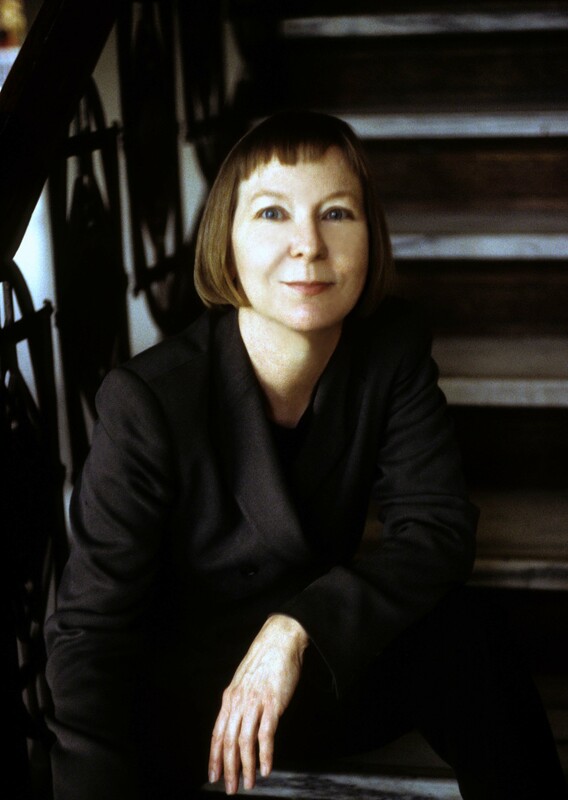 Susan Stinson, who will moderate the panel Shaping the Story, was awarded the Outstanding Mid-Career Novelist Prize from the Lambda Literary Foundation. The prize, which comes with a $5,000 stipend, was awarded at the Lambda Literary Award Ceremony in New York City in May, when many other fine writers including Edward Albee were honored. 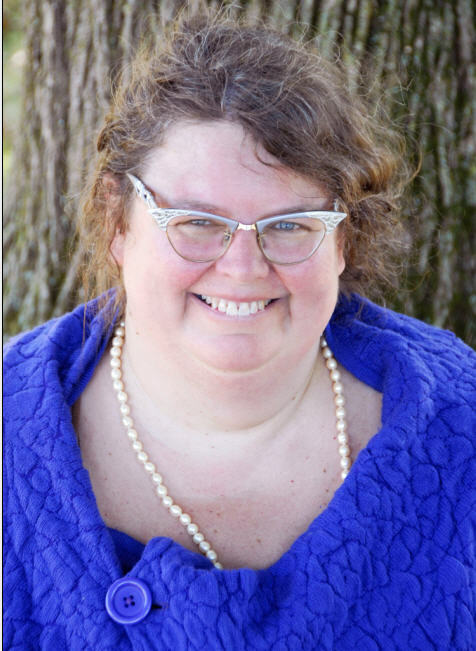 Stinson, a Northampton resident who is a freelance editor and writing coach, is the author of the novels FAT GIRL DANCES WITH ROCKS, MARTHA MOODY and VENUS OF CHALK. Her recently completed novel, set in 18th-century Northampton, is about Jonathan Edwards and his family, including the people enslaved in his household. Stinson is also Writer in Residence at Forbes Library. Her award is covered in the Republican and the Gazette.